Curious George by Hanna Andersson — THE HANNA BLOG Worked like a charm! we're not monkeying around! The Man with the Yellow Hat and his curious little monkey have joined the Hanna family. 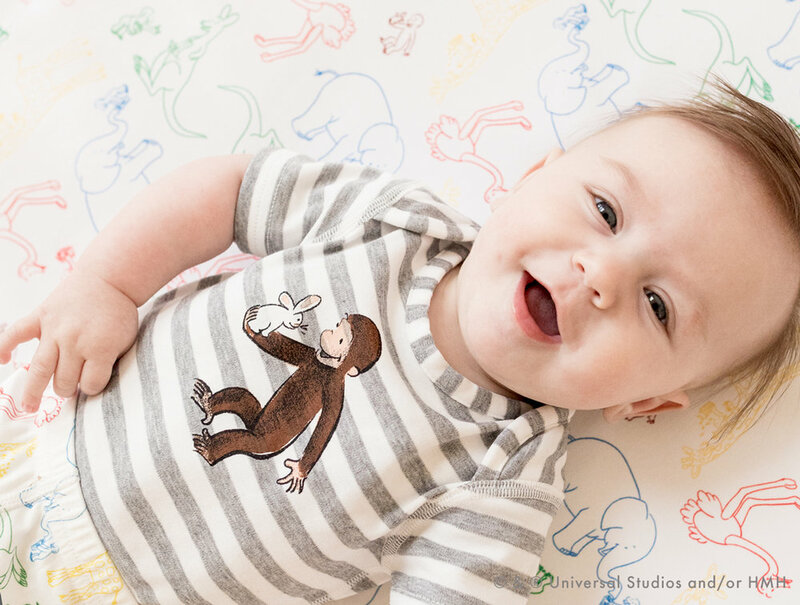 We're so excited to share with you the new Curious George collection. wrap up your wiggly little babe in our organic pima cotton layette and know that they'll be cozy through the night. a collection that your curious little explorers can wear all day and matching #hannajams for big + littles that they can wear all night. "he was a good little monkey, and always very curious..."